Epsom salts contain a high magnesium content that help to promote the release of lactic acid from muscle tissue. 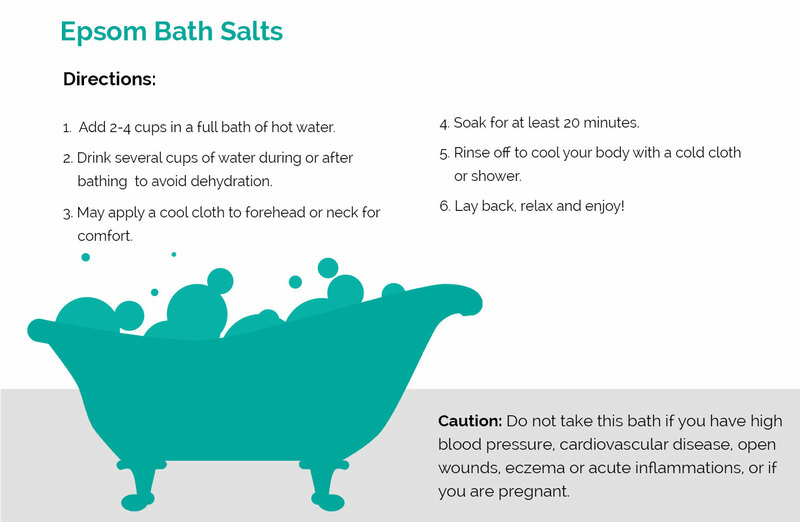 An Epsom salt bath can be helpful anytime you are suffering from aches and muscle strain. It is also an excellent idea after having a massage, to relieve any generalized soreness from treatment to a particularly tight area.